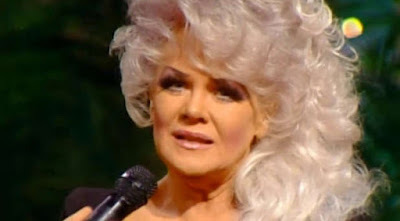 I saw a tribute to Jan Crouch on my instagram feed and my heart skipped a beat, she died? How? When? I was exceptionally sad and I shed a tear. I wasn't sure why I was as sad as I was, but now I know. She represents so much, she's a woman who lived to the fullest, because she loved in Christ and what great exploits she did in Him. The big pink haired lady… the one who loved God so much, the one who carried this gospel, the great host who along side her husband broke barriers and brought the gospel right into our homes. I’m so thankful that this couple heard the call and dared to walk on water, to a place where their faith was without border, to the place where they dreamed the impossible dream and stretched so hard to breakthrough to new dimensions that every other person could easily walk through. Taking the gospel round the world with just a switch. Jan looked strange to me, I judged her the first day I set my eyes on her as a young girl… what pink big hair she had, what long lashes she had… are Christian ladies supposed to look like this? But that was when my mind was so little, and then I got to know her through my TV, and I got to love her and smile fondly whenever the big pink hair appeared with her speaking so passionately about this life, this truth that she lived. She’s passed on to higher glory, what legacy she left. This has got me thinking about my life, about my purpose… I want to leave this earth as emptied out as I can. I want to spill all that God has put within me for the world. I want to live out the blueprint for my life. 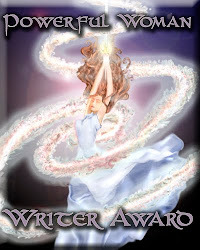 I want to be a woman who runs with the word of power the Lord gives and proclaim it as loud as I can, to break barriers and stretch so far to breakthrough into something that other generations can easily walk through. Thank God for the giants He’s put before us, those who have shown us in their walk and work that all things are possible, and God is indeed a good God. Rest on Jan… Thank you!